I’m really good at two things. Sure, I have minor gifts such as humor and writing, but they’re hardly worth mentioning. There are only two things in this world at which I’m really gifted. The first is drinking coffee, in staggering amounts, at fairly high speed, with effortless aplomb. (I’ve had a lot of practice.) My second gift is winning Mario Kart races. Neither of these gifts are useful for professional success or intellectual fulfillment, but I consider them personal triumphs anyway. Mario Kart is a series of racing video games by Nintendo, a company with an important heritage, rich history, and really weird controllers. 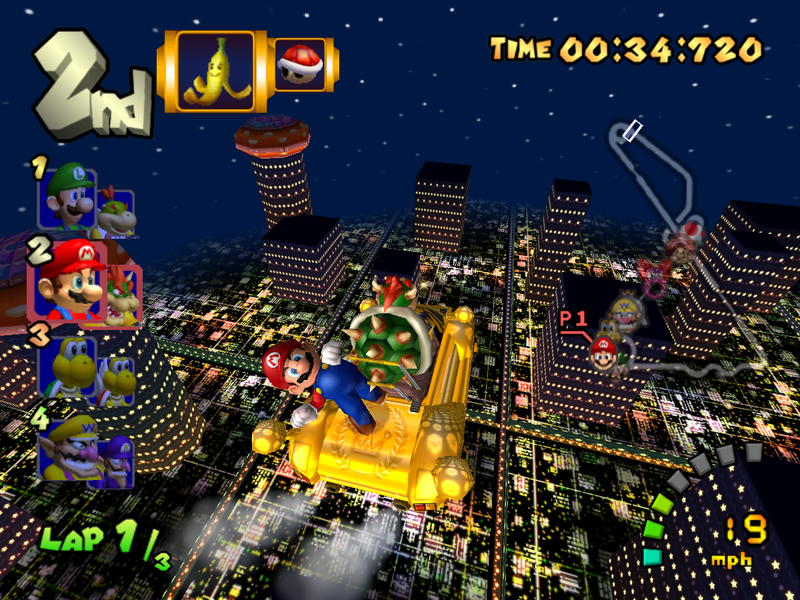 Each Mario Kart game is packed with humor, color, whimsy, mayhem, and stuff that explodes. (For the record, Mario Kart: Double Dash!! is the best game in the series. Some people say that either Super Mario Kart or Mario Kart 64 is better. Those people are wrong.) I started playing Mario Kart in my teens, and after twelve or thirteen years, I’ve learned a thing or two. One of the things I’ve learned is the importance of picking up speed. 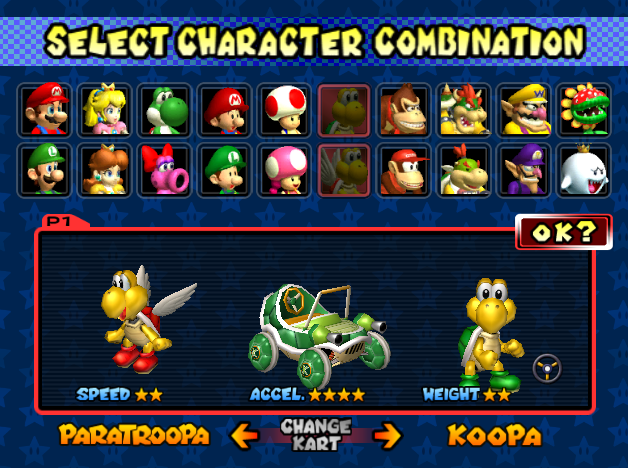 Every kart in the games is valued according to two statistics: speed and acceleration. There’s technically a third stat, weight, but it’s not all that important. Going fast is great, sure, but something is guaranteed to bring karts to a full stop. Inexperienced players drive off roads or into obstacles. Even Mario Kart veterans can’t dodge certain hazards. Consider the Red Shell, a projectile weapon that seeks outs other racers. Then there’s the dreaded Blue Shell, an unstoppable missile that wrecks the winning racer within seconds. It really puts the hell in Shell. Sooner or later, every Mario Kart racer ends up in a ditch… or submerged in a glacial ocean, or sinking into glowing lava. (Video games will be video games.) Every racer, no matter how fast, eventually ends up wrecked. That’s when acceleration comes in handy. It allows players to regain their top speed quickly after obstacles or poor driving slow them down. 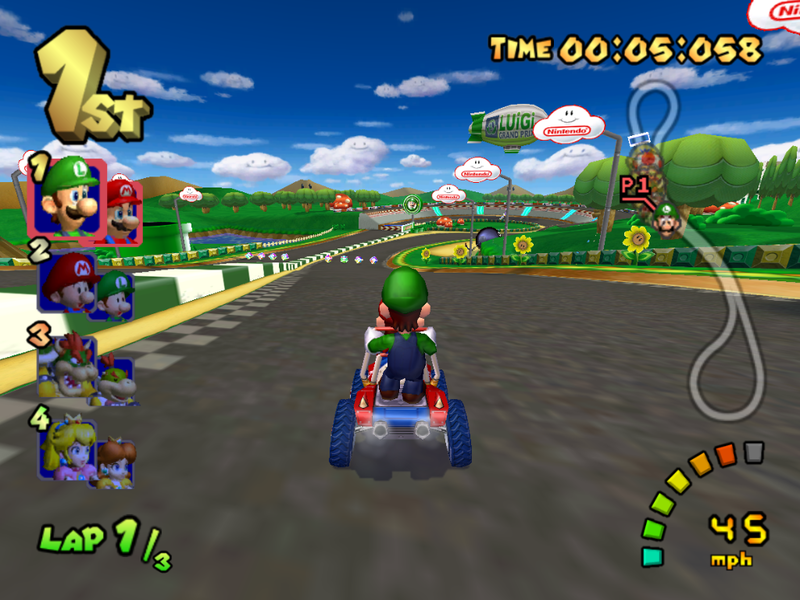 Depending on the race, a slow kart with good acceleration might have the advantage over a fast kart that takes a long time to get moving. I think there’s a lesson here. In nearly every day God gives me, I try to do my best. Sometimes I keep it up for days or even weeks at a stretch: making good decisions, working hard, keeping my faith, and being kind. In Mario Kart terms, I maintain a good top speed. Then, inevitably, I wreck my kart. I make a bad decision, and swerve off the road. Some wrecks aren’t even my fault. The unstoppable Blue Shells of depression, sickness, or bad circumstances bring my kart to a grinding halt. Aw heckles, I took a wrong turn. It’s going to be a long fall. I really struggle to get moving again at such times. What good is a high top speed if I’m not even moving? If I’ve lost my momentum, what’s the point? I may as well just sit here. The race is lost. I doubt I can even make second or third place, so I may as well just wait for the next one… but that’s no way to live, is it? Speed is important, but so is acceleration. It’s important to live well, but also to keep moving after living badly. Losers sit around moping after wrecking their karts. This entry was posted in Faith, Life, the Universe, and Everything, Video Games and tagged depression, geeky, Mario Kart, Nintendo, personal, reflections, Super Mario Bros. by Adam Stück. Bookmark the permalink. We shall definitely have to compete should our paths ever cross.